I just sold an old 52” rear-projection HDTV for \$200 cash. I sold it the night before a home football game, so I had \$200 cash in my wallet. On most home football games that I don’t have my son, my fiance and I go downtown to tailgate. How much money do you think was in my wallet the next day? Yes, you guessed it… \$0. I refer to this as retarded spending. There is no reason any human being needs to spend \$200 on a game day. Really. There isn’t. I don’t care if you have millions. It’s absurd spending. The problem is that I get really generous the more that I drink. That generosity usually leads to rounds of shots. 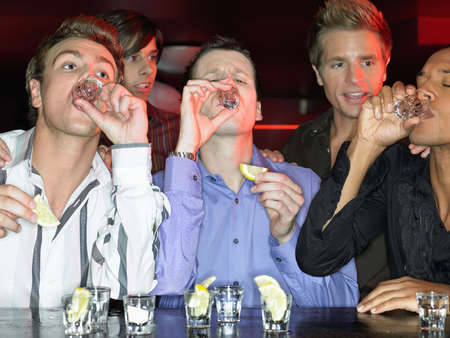 As you probably know, a shot can cost anywhere from \$3 to \$8. A few rounds for you and your friends can easily set you back \$50 to \$75. I’m not materialistic at all. I don’t want to spend money on nice things. I’m on a path to minimalism. But for some reason I have no problem spending money on experiences. I don’t view that a problem in and of itself. It’s just the amount that I need to be careful of. This is particularly important if I want to be a successful entrepreneur. It’s necessary to stockpile as much cash as possible. So why the quote at the beginning? Because I read the this story. It’s about a guy who made \$2.5 million and then lost it all by stupid purchases. Be wise and learn from his experience.